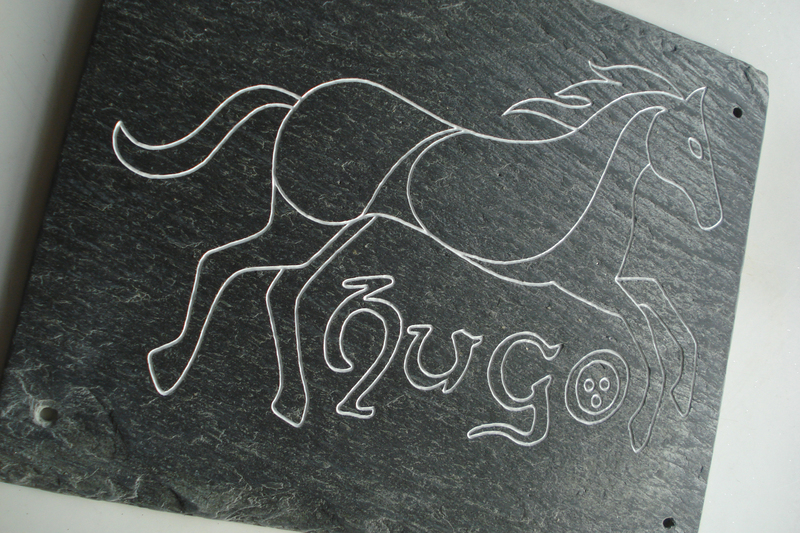 A stable sign for Hugo the horse (30 x 25 cm). 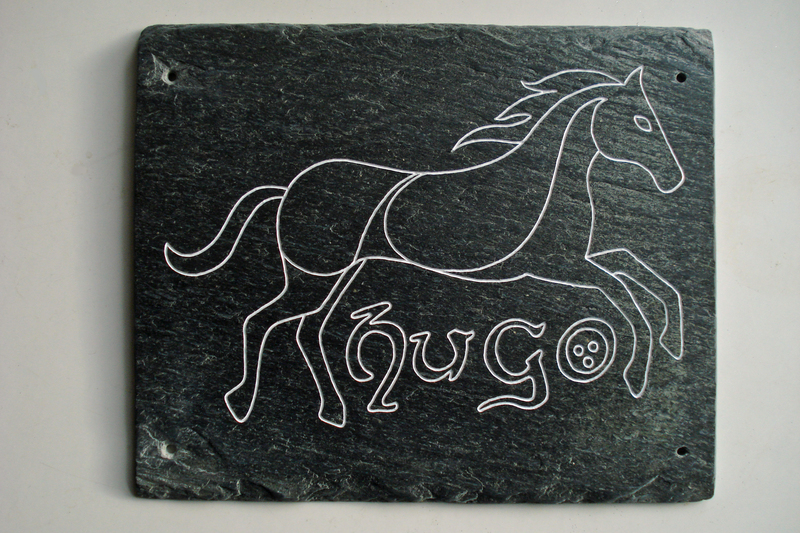 Hand carved from a reclaimed roof slate. 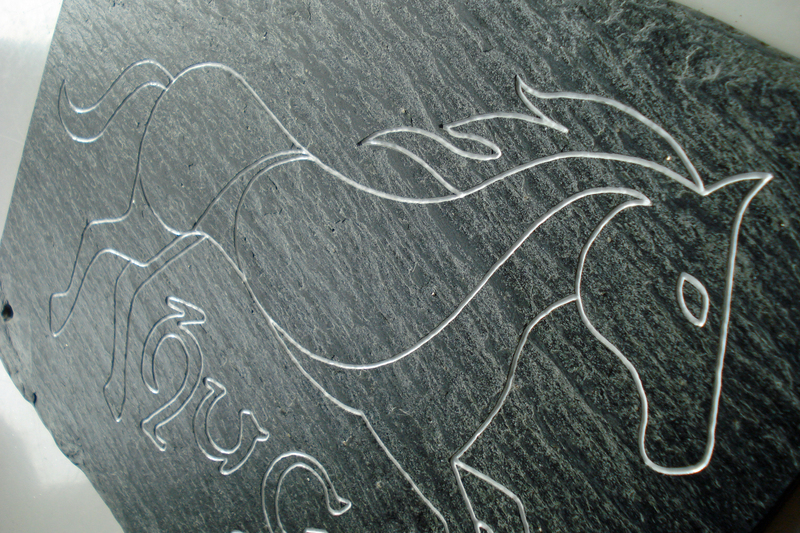 Design © Hatch, Burn, Carve.